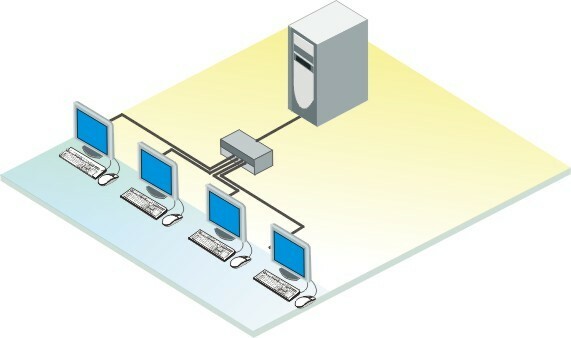 A KVM Switch is a switch device for the " Keyboard, Video and Mouse " ports of computers allowing a user to control different or additional computers from their same keyboard, monitor/screen and mouse. 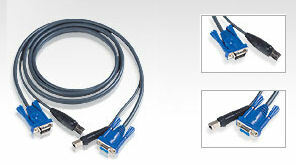 We offer many KVM solutions. 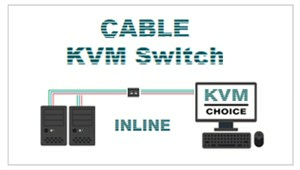 Some models of KVM switch can also switch the connections of Audio ports and Full USB for other devices such as printers and memory sticks. 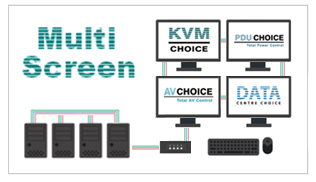 KVM Switches vary from desk units with as little as two PC's or Macs to Data Centre switches with multiple simultaneus users and connection to many servers with the addition of high security SSL KVM remote access over IP User capabilities. - Secure KVM's, bio-metrics, smart locks, high security racks, software..
Access computers from upto 300 Mtrs away over UTP or Fibre Optic for even futher distances. Special offer prices on leading KVM brand Promotions and Manufacturer Clearance. Grab a bargin while still available. 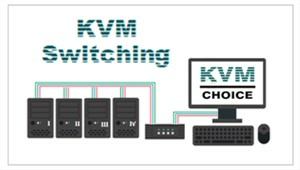 Find a Leading brand KVM Switch with specifications to suit from Home, small business to Professional Datacentres. In order from small to large. Local remote KVM devices are disgned to users to control computer equipment upto 1000 feet away (3oom) from the user consoles (keyboard, monitor and mouse). 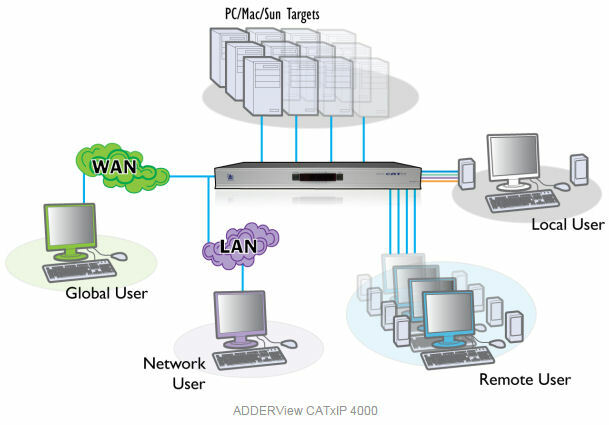 They always need direct cable connection from the computer to the KVM switch to the console and include support for standard cat cat5 cabling between computers and users interconnected by the switch device. In contrast, USB powered KVM devices are able to control computer equipment using a combination of USB, keyboard, mouse and monitor cables of up to 16 feet (5m). KVM over IP devices use a dedicated micro-controller and potentially specialized video capture hardware to capture the video, keyboard, and mouse signals, compress and convert them into packets, and send them over an Ethernet link to a remote console application that unpacks and reconstitutes the dynamic graphical image. 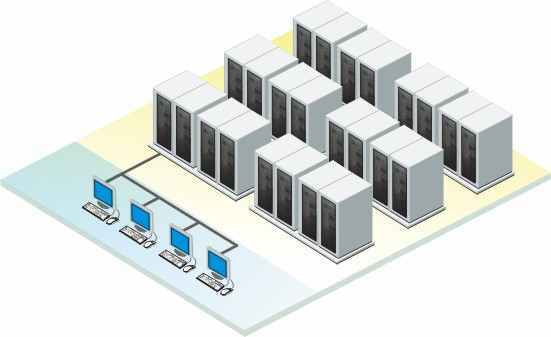 These devices allow multiple computers to be controlled locally or globally with the use of an IP connection.